Johannesburg (TADIAS) – Preparations are underway for the 2013 Africa Cup of Nations in South Africa, and Ethiopia’s national team (The Walya Antelopes), that qualified for the tournament for the first time since 1982, is also gearing up for the continent’s most prestigious soccer competition, which kicks off on January 19th in Johannesburg. The Walya Antelopes, popularly nicknamed “The Black Lions,” also advanced past Benin and Sudan on “the away goals rule” after a draw with Benin followed by victory over Sudan, against whom they lost 5-3 in Khartoum and then beat 2-0 in Addis. The team’s star players are striker Saladin Said, who plays abroad for Wadi Degla in Egypt, and Adane Girma of Ethiopia’s Saint George Club, who was voted the best player in the Ethiopian Premier League in 2011. 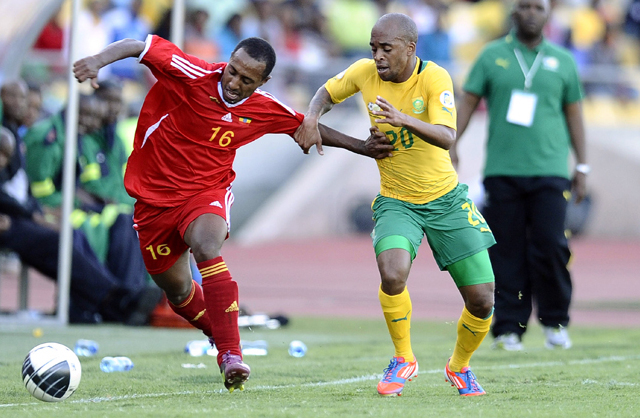 But in order for Ethiopia to have a performance worth remembering in South Africa, the team must first survive its challengers in group “C” that include Zambia, Nigeria and Burkina Faso.